The Q-5, NATO reporting name fantan, is a single-seat supersonic attack aircraft developed by China. It is designed to fly low level combat missions in support to ground forces attacking concentrated targets on land. It has limited capability against aircraft and ships near the coast. Its simple design and low cost has led to some exports. A small number of aircraft were modified to carry nuclear weapons designated Q-5A. The Q-5B was equipped with a Doppler radar in a reshaped nose and was capable of carrying two torpedoes for maritime strike missions. Q-5I was the first improvement of the Q-5 design. The internal bomb bay was deleted in favour of more internal fuel storage to extend the aircraft's range. The landing gear was strengthened and two extra hardpoints were fitted. Some of the Q-5I aircraft for the Navy were fitted with Doppler radar for use with the C-801 Anti-Ship Missile. The Q-5IA is an upgraded Q-5I featuring two extra under-wing hardpoints and a new gun/bomb-sighting system. Later RWR was added which resulted in the Q-5II. The Q-5IA was further enhanced and offered for export designated A-5C (Q-5III). The A-5C incorporated many modifications including upgraded avionics and AIM-9 Sidewinder AAM capability. Q-5K is an upgraded version based on the Q-5II featuring Western avionics such as laser range-finder, INS, and HUD systems from Thomson-CSF. Development of the Q-5II in cooperation with Italy's aircraft builder Alenia led to the all-weather Q-5M/A-5M incorporating the nav/attack system from the AMX aircraft and fitted with more powerful engines. But both programs were cancelled before any orders or production. The latest derivative of the Q-5 is the two-seat JQ-5J version developed by Hongdu Aviation Industry Group (HAIG). It was first revealed to the public in the form of a model at the Zhuhai Air Show in December 2004. In addition to the redesigned front fuselage the aircraft features a larger vertical tail. The first prototype JQ-5J made its maiden flight on 25 February 2005. 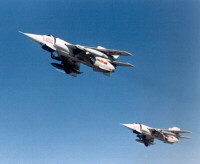 The PLAAF had previously trained its Q-5 pilots on the two-seat JJ-6, the arrival of the specialised two-seat version suggested initially that China planned to upgrade its Q-5 attack aircraft with modern weapons and sensors and required a conversion trainer with the retirement of the JJ-6. However with the advent of the new generation of Chinese fighters and fighter-bombers, it seems more likely to have been the aim to be able to offer the two-seater to export customers for surplus Q-5s. - Munro, B., Chant, C., Collins Jane's Combat Aircraft, Harper Collins, Glasgow, 1999.